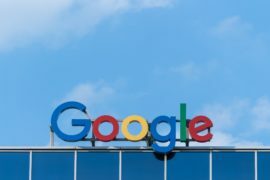 It was recently annouced that Google plans to launch a search apps that will comply with the Chinese government’s censorship legislations, also known as the Great Firewall. Google’s possible return is seen as conterversial and goes against the company’s ethical stance. Google is an advocat for a free and open internet for all and abidding with the Great Firewall restrictions is conterary to their ethical stance. It will be interesting to follow the company’s development in the infiltration of the Chinese market.